Awaking to find himself in a new body 250 years after his death, Takeshi Kovacs learns that he has been resurrected to help a titan of industry solve his own murder. Thus starts the new Netflix series Altered Carbon, which has just been made available today for streaming. The series is an adaptation of the popular books by Richard K. Morgan and it’s a series that is bound to have fans of science fiction talking for days. 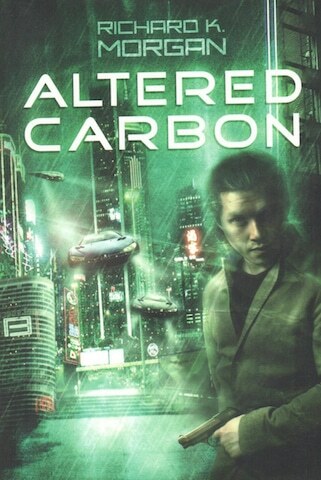 The complex world of Altered Carbon is very similar to our own, but with the added incentive of potential immortality. It’s a world where the 1 per cent live safe in the knowledge that they can get themselves a new body anytime that they want. It’s a world where the human body is just that — a body, or a “sleeve” as it is referred to by the characters who exist in the world. The very poor as ever cannot afford replacement bodies and are often given the most decrepit bodies available, if indeed they do manage to get one. In this world, people are able to occupy new bodies thanks to a technology known as a stack, which is like a sort of hard disk that literally contains all of your living memories and your consciousness. This effectively means you could potentially live forever if you are not shot in the head or take a brute force trauma to the base of the skull. The opening episode of the series sees Takeshi Kovacs, a terrorist and mercenary, resurrected from his life sentence in Alcatraz and finding himself under the employ of Bancroft Industries. Kovacs was known to have a very specific skill-set in that he could download himself into any sleeve and instantly blend into any given society by assimilating the language and culture within minutes, which makes for the perfect killer. From what little we learn in the first episode, Kovacs was part of a terrorist group that was trying to take down the 1 per cent by any means necessary. Upon release, Kovacs is put into the employ of Laurens Bancroft who wants Kovacs to solve his murder. Turns out that Bancroft had taken out an insurance policy that allows him to back up his stack, but whoever killed his previous host body did so in such a way that Bancroft has the 48 hours leading up to his murder missing. Bancroft offers Kovacs 50 Million UN Credits and a full pardon for his past crimes if he solves the murder. The world-building of this new show is astounding. Joel Kinnaman is perfectly cast as the moody and mysterious Kovacs who doesn’t give too much away when being questioned by persistent police officer Kirstin Ortega. 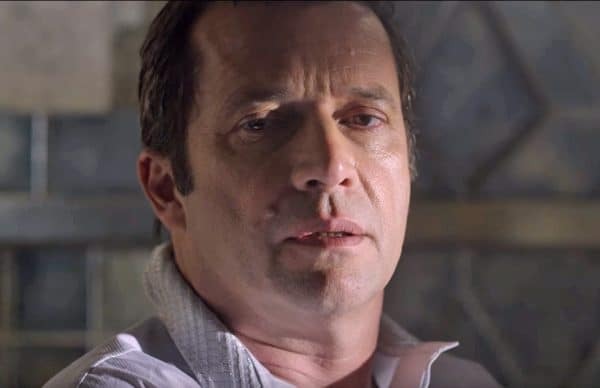 James Purefoy takes on the role of the equally mysterious Laurens Bancroft, who has been alive for 350 years and is very much aware of Kovacs’ past history and the terrorist organization that he was with before his capture. The characters in this series are compelling with their various story arcs, which all connect as you watch more and more of the series. The fact that this is all played out in a futuristic world that borrows heavily from Blade Runner and Fifth Element is an absolute bonus. The story and the characters driving it is what makes this new show a compelling watch. Altered Carbon is streaming now on Netflix — where you can quite easily binge all 10 episodes.